At the conclusion of an ambitious, two-year antitrust investigation by the United States government, search giant Google is getting away relatively scot-free. The Federal Trade Commission's probe of Google's search business ended Thursday without a settlement or even so much as a wrist-slap. Though the regulator found that some of Google's recent changes to its search engine were "problematic and potentially harmful to competition," the FTC ultimately did not bring a lawsuit against the company related to search. "It was a unanimous decision. The reason is: it doesn't violate the American antitrust laws," said Jon Leibowitz, chairman of the FTC, at a press conference. "The facts weren't there under the law they apply to." Google was quick to claim victory. "The conclusion is clear: Google's services are good for users and good for competition," said David Drummond, Google's chief legal officer, in a prepared statement. Google did say it has made voluntary concessions that include making it easier for advertisers to switch their ad campaigns to competitors, ending exclusive search deals with websites, and discontinuing the practice of re-posting reviews from other websites into its own search results. Those actions are legally enforceable, the FTC said. Google also settled a separate, unrelated lawsuit brought against it by the FTC over its patent licensing. Regulators found that Google was wrongfully preventing competitors from licensing certain patents held by subsidiary Motorola Mobility. When Google bought Motorola last May, the company agreed to sell rights to patents essential to wireless technologies, but the FTC said Google (GOOG) instead refused to provide those licenses and sought injunctions against smartphones that Google felt infringed on its patents. As part of the settlement, Google agreed to license these standard, essential patents in the future. Still, the lack of a lawsuit over its search engine is a major victory for Google. The company controls about two-thirds of the U.S. search market, according to online data tracker comScore (SCOR). 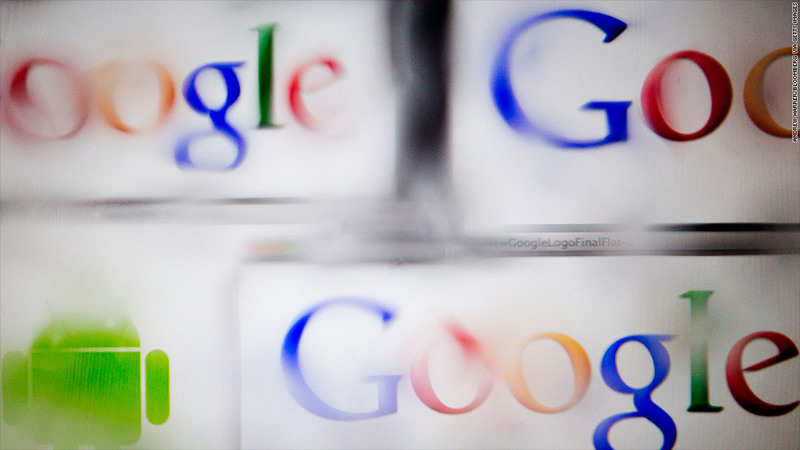 As such, Google has been intensely scrutinized by some antitrust watchdogs for its tactics. Over the past several years, Google has begun weaving its own products into search results, including its Google+ social network, local business listings, airline schedules and weather reports. That often has the effect of placing competitors' listings lower on search results pages. Google has been criticized by rivals and even Congress for favoring its own search results. Microsoft (MSFT), which runs search site Bing, and online reviews site Yelp (YELP) have been among the most outspoken of Google's competitors. Leibowitz said there were a "surprising" number of search rivals that came to the FTC to complain about Google, and he acknowledged that most competitors hoped the FTC would do more to stop what they had considered unfair business practices. Google has generally responded to antitrust allegations by saying that "competition is just a click away." It made the legal argument that its search algorithm represents the company's "scientific opinion" about the best answers to search queries -- an opinion that it says is protected by the First Amendment. The FTC agreed. Although the commission said it found "some evidence" that suggested Google was trying to eliminate competition, the primary goal of its redesigns and new feature rollouts "was improving user experience." Antitrust lawyers not involved in the case have generally agreed that bringing a monopoly case against Google would have been challenging. The FTC likely would have needed to prove not only that Google abused its power, but also that its customers were harmed in the process. "There are many features of this case that made it difficult for the FTC, including the fact that consumers aren't locked into Google," said Keith Hylton, a professor at Boston University's law school. He added that since Google is constantly changing its search algorithm, it would be difficult to regulate that process. Deciding not to bring a case against Google is a sign that the FTC didn't think its case was strong enough to win. It would have been the highest profile monopoly case since the government sued Microsoft over a decade ago. A loss would have embarrassed the regulator and wasted taxpayer resources. But Google isn't out of hot water yet. The search giant faces a similar investigation in Europe, where antitrust laws are far more stringent and where Google has a commanding 90% share of the search market.